The nations that took part in the Gallipoli Campaign are now all friends. To understand why this was not always the case we need to look back to the days of Empires and politics and the alliances of states and commercial interests that caused a melting pot of greviences, retribution, patriotic visions of grandeur and expansionist policies that brought about two great world wars within just a few years of each other. 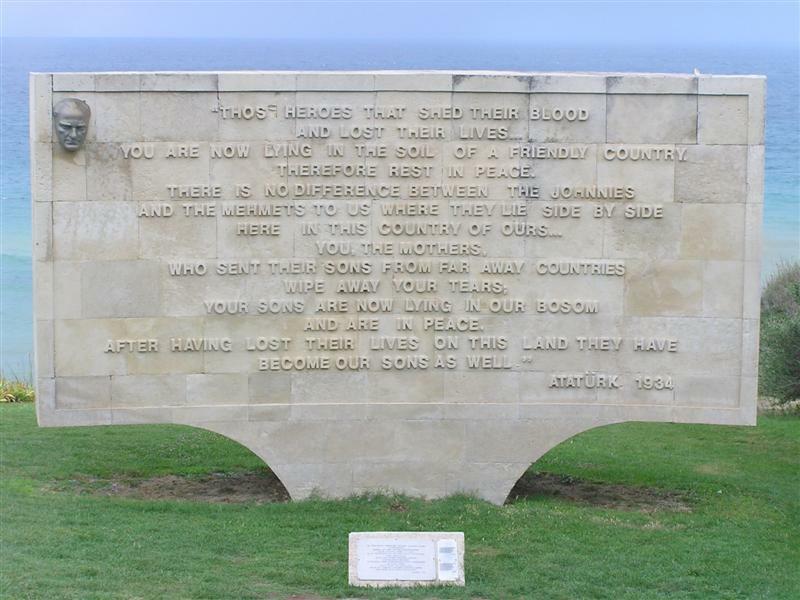 Whilst the Gallipoli Gampaign may only have been one small part of the wider devastation of World War I that saw the loss of millions of lives, it was nevertheless of significant importance to Turkey, its future, and the birth of the nation that we know today. 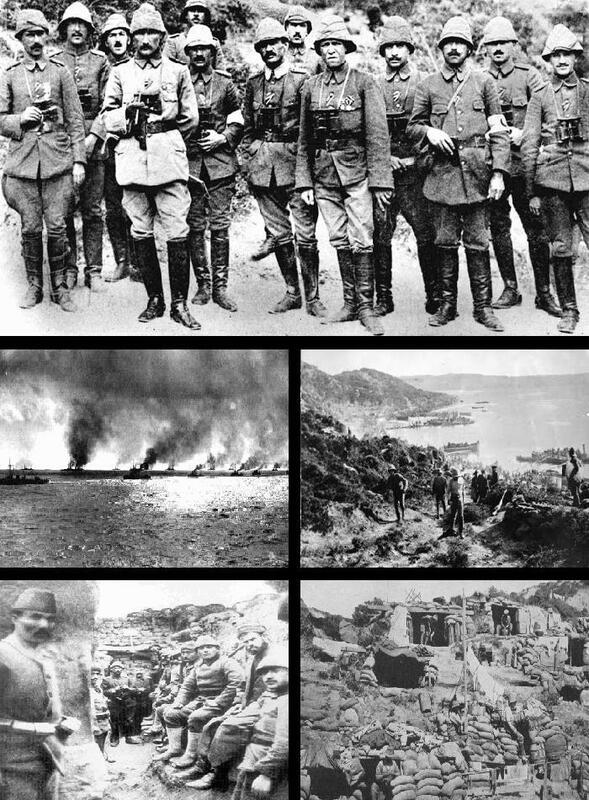 The Gallipoli Campaign or Çanakkale Savaşı as it is called in Turkish, was a campaign of World War I that took place on the Gallipoli peninsula near the town ofGelibolu ( from where it gets its name ). The Dardenelles or the Dardenelle Straits were of strategic importance to the Russian Empire which was one of the allied powers during World War I. In 1915 The Ottoman Empire had aligned itself with Germany which placed it in the precarious position of potential ally of the German state. At the turn of the century the Ottoman Empire was being referred to as the ‘sick man of Europe’ and through economical, political, civil and military strife the empire was on the wane and crumbling fast. The Young Turks, a group of military officers had taken charge of the Empire and was desperate to make changes. It is important to mention that Turkey regarded the UK as friends and had no interest in becoming embroiled in a war with Britain. However, as the Sarajevo Crisis of 1914 developed Germany offered the Ottomans an alliance against Russia which did not commit them to any military action. War broke out on 30th July 1914 and new naval vessels which were being built in Britain for the Ottoman navy were subsequently requisitioned for the British Navy. Relations between the Ottomans and the British were now strained and to make matters worse Germany offered the Ottoman navy two battle cruisers. The Ottoman Empire had maintained good relations with the British but increasing influence by Germany and its military training of Turkish forces tipped the bias towards Germany. The Balkan wars of 1912-1913 had left the Ottoman Empire desperately short of funds. Germany, Britain and France offered to assist and although most of the Ottoman cabinet were pro-British Enver Pasha who had served as military attache in Berlin was apposed to the British and preferred to have closer relations with the Germans. From the allied perspective the main interest in Turkey was that it retain its neutrality. If a war were to break out the strategic importance of Turkey would be significant. International law at the time required the Ottomans to refuse entry to the Dardanelles but by allowing German military ships to travel to Constantinople they confirmed their allegiance to Germany. The British recalled their naval mission from Constantinople over concerns that Turkey was on the brink of entering the war. The Imperial Germannavy took command of the Ottoman navy and closed the Dardanelles on 27th September 1914. The scene was set. With German successes across Europe and beyond the Ottoman government felt confident enough to declare war on Russia. The Ottomans attacked the Russian port of Odessa on 27th October and sank several Russian ships. The Allies demanded cessation and that the Ottomans expel the Germans. The Ottomans refused and on 31st October 1914 they officially entered the war in support of Germany. Russia then declared war on Turkey on November 2nd. The British left Constantinople and then promptly bombed the defensive forts of Kum Kale and Seddulbahir killing 86 soldiers. Both France and Britain declared war on the Ottomans on 5th November 1914. From this point it was inevitable that the Dardanelles would come under attack. This would come in April of 1915 and prove to be a bloody conflict that would define Turkey through the death of an empire and the birth of a nation. Britain and France launched an attack that would result in many casualties for both sides and last for 8 months before its cessation without victory for the Allies. As the Turkish Empire crumbled in defence of the Motherland a national hero was born – Mustafa Kemal, a leader who would take Turkey to Independence and form a Republic. The Gallipolli Campaign is also a milestone in the histories of New Zealand and Australia with 25th April known as Anzac Day for both countries. Winston Churchill, First Lord of the Admiralty, proposed a naval attack on the Dardanelles after Nicholas of Russia appealed to Britain for assistance against the Ottomans. 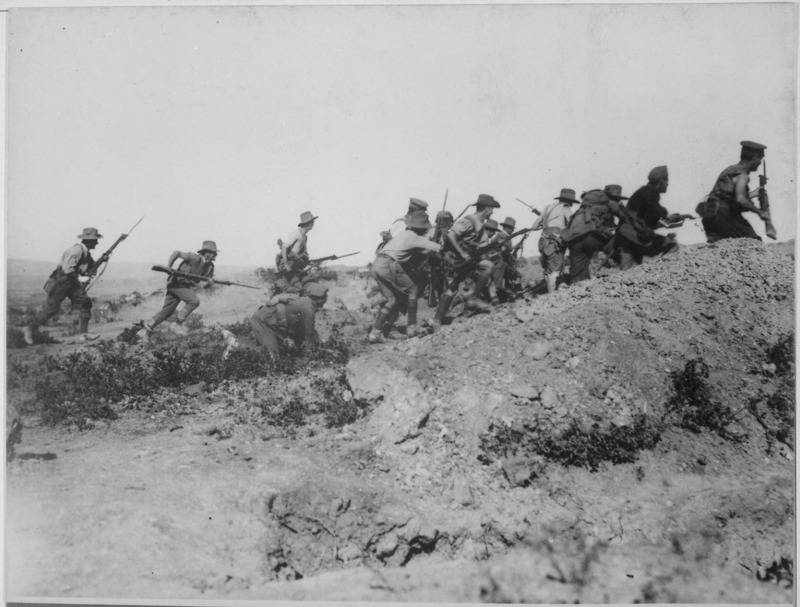 Following attacks by the British during February 1915, the main attack commenced on 18th March. A total of 18 battleships with support cruisers and destroyers commenced the attack but the British and French ships suffered from mine damage. 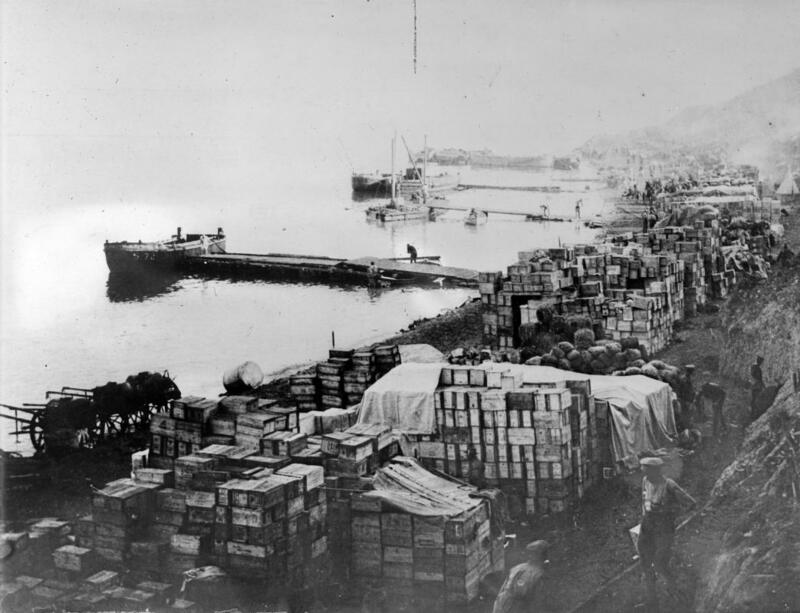 Both Britain and France used old and obsolete ships for this campaign and they had expected heavy losses so the campaign progressed with French troops landing on the Greek Island of Lemnos in preparation, and a land force of 78,000 was assembled called the MEF and consisting of soldiers from Australia, New Zealand and Britain who would all converge from bases in Egypt. At best the campaign was ill planned and with little thought given to an unprepared force landing on defended soil. Also the terrain was not favourable to an invasion force and the allied intelligence had not rated the average Turkish soldier very highly, an error that was to prove costly as the campaign unfolded. The Turks were now fighting for their very survival not battling it out in some foreign land attempting to hold territory. This was an entirely different circumstance and environment. There are so many individual attacks and counter attacks by both sides. There are many tales of heroic deeds by soldiers from all of the nations involved. How sad then that thousands of young men in their prime should be subjected to this massacre of epic proportions on a World War that was pointless and futile and which could have been avoided. It should be remembered that these brave men gave their lives for their countries and for the cause that all of them respectively believed in and that they were only following the orders of their leaders and fighting for the defence of, or the support of, their respective homelands. How would they have all reacted if they had been able to come to understand the cultures and the personalities of their opposite numbers and sit with them over a meal and discuss what they were all fighting for and what they hoped to have achieved. Alas, war is not like this and such opportunities are rare in battle. The Turks under Mustafa Kemal proved to be competent and resourceful. They were good fighters and quickly earned the respect of the Allied Forces. With the assistance of the Imperial German Army and Liman von Sanders, a late Allied landing which gave much needed time for preparation and defense plans including the formation of a small Air Force. 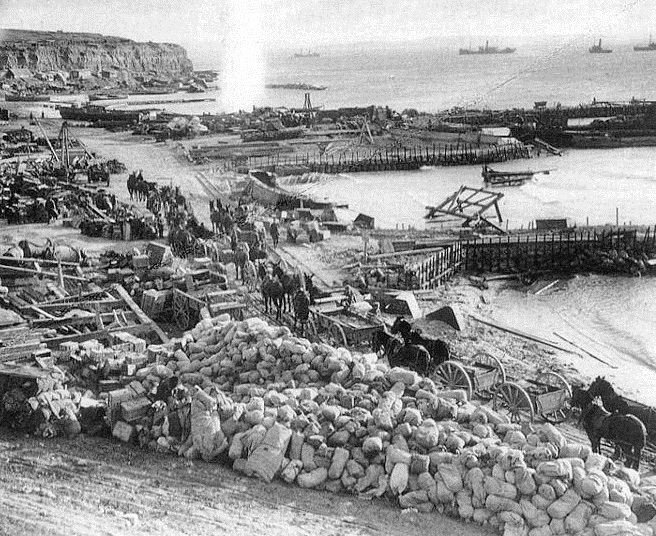 The Allies landed at six locations, the most famous of which are Anzac Cove and Helles. In these first few days of battle the battle lines would be formed and for the most part remain throughout the campaign. At one point, out of ammunition and facing the attackers with nothing but bayonets Mustafa Kemal is famous for saying to his troops, “I do not order you to fight, I order you to die. In the time wich passes until we die, other troops and commanders can come forward and take our places”. Every man of the regiment was either killed or wounded. It is for this reason and out of respect, there is not 57th Regiment in existence in the Turkey army today. 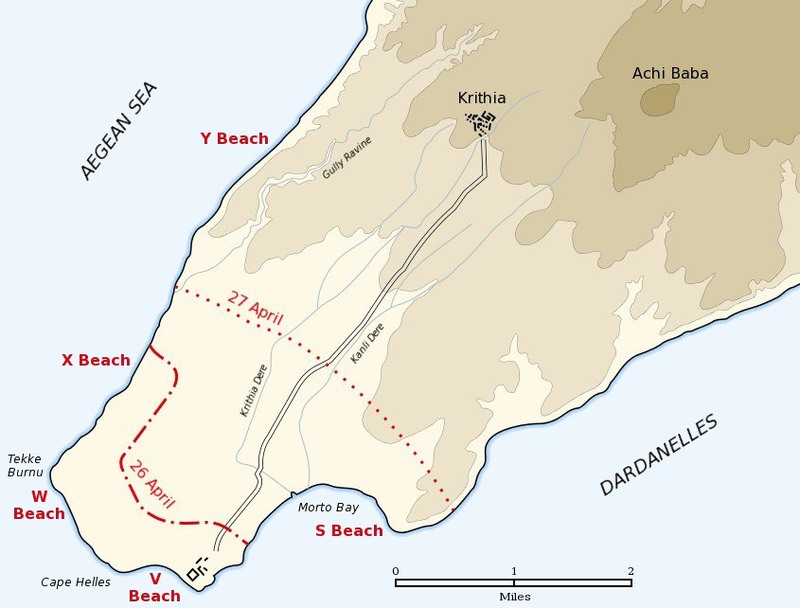 In total, the Gallipoli Campaign, which ended on January 9th 1916, resulted in the loss of over 44,000 Allied killed in action with 97,000 wounded. The Turks lost over 87,000 men with over 165,000 wounded. The war, for all its reasons was a failure and a human tragedy. The Allied forces came to see the Turks in a different light. For all the propoganda about the Turks your average Allied soldier had no particular disdain for his enemy and even a healthy respect which is evident from the large amount of dried raisins and fruits that were thrown at the Allies by the Turks and the large reciprocal traffic of tinned food and cigarettes bombarding the Turks by return. The Gallipoli Campaign came to an end through stalemate, heavy losses and the complication of Bulgaria entering the war on the side of the Central Powers. The evacuation by Allied troops is legendary. Using self firing rifles and explosives the evacuation resulted in very few casualties. The campaign itself was a disaster for all concerned.The Campaign caused the demise of a great Empire but Modern Turkey emerged from this. As a result of this experience Turkey remained cautious and neutral throughout the course of the entire Second World War. A very wise decision indeed. What a touching and respectful testamount to a great leader and the founder of a nation. Let this be a message to those that would go to war for dubious reasons. Turkey as a nation maintains a large and effective military deterent against any hostile nation but it can hold its head high as a peaceful nation that does not lightly involve itself in other peoples conflicts or political agendas. We all know that Turkey entered the First World War even though the majority of the Ottoman government officials were against such a move. What motivated Turkey to join an alliance with Germany? The Allies had hoped that Turkey would stay out of the war and remain neutral. However, the Germans had other ideas and they manipulated the situation to their advantage. They managed to enlist the support of Turkey’s most influential military figure – Enver Pasha. The Ottoman Empire at this time was being referred to as “The Sick Man of Europe”. Recent losses of territory through military defeats and a poor economic situation caused the Ottomans to seek an alliance with Britain or France. Neither of these European powers were interested. The situation was quite complicated. The Sultan was against an alliance with Germany. The Turkish Navy was trying to modernise itself with the help of the British. When Britain requisitioned without compensation two of the completed Ottoman Battleships it caused a lot of resentment from the Turks. This was money that had been raised by ordinary citizens through the selling of their personal jewellery and gold. As with many events we only ever hear part of the story. The reality of the situation is somewhat more complicated. Turkey had wanted to be able to build its own modern dreadnoughts and actually allowed British firms to re-organise the Ottoman Docks. These firms invested heavily to the tune of £1.2 million. Additionally, Armstrong Vickers was a private company and whilst it must have had the approval to supply from the British government it was not the British Government that was taking Turkish money. Armstrong Vickers and the Turkish Admiralty had drawn up a construction scheme which was to include six dreadnoughts with a total worth of £18 million. Armstrong Vickers did not just walk off with the Turkish investment but that was not how it was sold to the citizens of Turkey. In fact only one ship had been paid for and the contract had been invalidated. Imagine then. The pride of a nation. Everywhere in Turkey ordinary citizens, rich and poor, had contributed what they could to buy this ship which had already been named – The Sultan Osman. This was national humiliation at its worst. Those theiving British rogues had done the unthinkable. The British were concerned by the collaboration with Germany. The ships could have entered the war as an alley of Germany. At this point Turkey was still neutral although they had signed a secret pact with Germany on 2nd August 1914 but not announced it. The cunning Germans responded quickly. They immediately provided Turkey with two ships that had been trapped in the Mediterranean. Had they attempted to move anywhere else they would probably have been destroyed. The ships under the German names of Goeben and Breslau were quickly given Turkish names, the Sultan Selim and the Midilli. However, they still had their German crews. So, lets do a little re-cap here. The British took back their ships on August 1st. They would have been aware of the German and Turkish negotiations. Would your country hand over state of the art technology to a country that looks like it is siding with your enemies? This is how it would have been seen by the British. By taking back the two dreadnoughts that were due for delivery Britain had carried out a hostile act against the Turkish people and Germany was seen by the Turks as the country that had come to their aid to support them. When the German ships arrived in Istanbul, Turkey was still a neutral country. International law dictated that these ships could not stay in port for more than 24 hours. To avoid problems the ships were seemingly sold to the Ottomans and the Sultan Selim was re-named the Yavuz. The German crews wore Turkish uniforms and a German Naval Commander by the name of Wilhelm Souchon was made Admiral of the Turkish Fleet. Admiral Souchon immediately set about attacking Russian ports and ships. He would later admit to having used this tactic purely to draw Turkey into the First World War. The British now knew for certain that the Ottoman Government was working with the Germans. They demanded that Admiral Souchon and his German crews be removed from their posts. Things went from bad to worse. By November 1st it was clear that Turkey had joined an alliance with Germany and British warships started to attack Ottoman shipping off the coast of Izmir. The Russians declared war on the Ottoman Empire on November 2nd and attacked Zonguldak. The bombing of the Dardenelles started on November 3rd and Britain and France declared war on the Ottoman Empire. What followed was the Gallipoli Campaign. What did it achieve? Well from the German point of view it kept valuable allied resources locked into a campaign away from Europe. Had it not been for the folly of Enver Pasha and Winston Churchill things could have been so different. 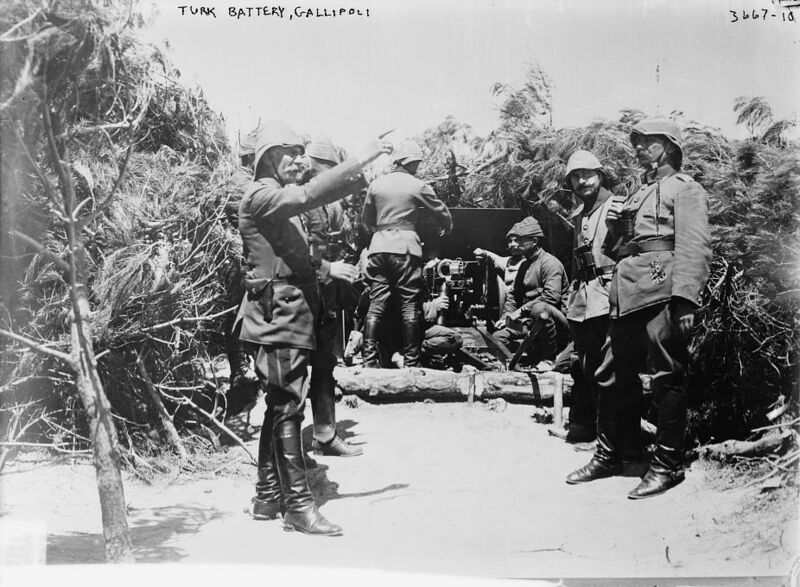 What a lot of people don’t know is that around 1500 German military personnel were committed to the Gallipoli Campaign. Commander of the Ottoman forces and 5th army was German General Liman Von Saunders. Admiral Souchon was Admiral of the Ottoman Navy. Captain Serno commanded the Ottoman Air Force and Captain N Pieper was chief of the Ottoman Weapons and Ammunition Production. Foreign commanders – all of them! Without doubt Germany did the Ottoman Empire no favours. In the First World War, as in the Second World War, the Germans did not have the vast resources of manpower that the British were capable of mustering. Bringing Turkey into the war kept thousands of Allied Troops busy albeit for 8.5 months. Additionally, whilst the Ottomans may have benefited from German expertise they also suffered huge numbers of casualties. The German commanders did not need to justify Turkish losses to the German public since the numbers dying were predominently Turkish. Why then did so many Turkish citizens die? Why did the German commanders order desperate attacks against the allies when they could have just dug in the trenches and saved lives? And, finally, when the war ended there was no peace for the Ottomans. They would have to carry on for another 4 years before they could finally claim independence and form the fledgling Republic under the direction of Mustafa Kemal Atatürk, a Turkish army officer, revolutionary, and founder of the Republic of Turkey, serving as its first President from 1923 until his death in 1938. The Father of the Turkish nation that is modern Turkey today. In war there are many heroic tales of valour on all sides. Pride and Honour are qualities that define the national identity of countries. Those very same qualities can also be dangerous when it comes to conflict of national interests. 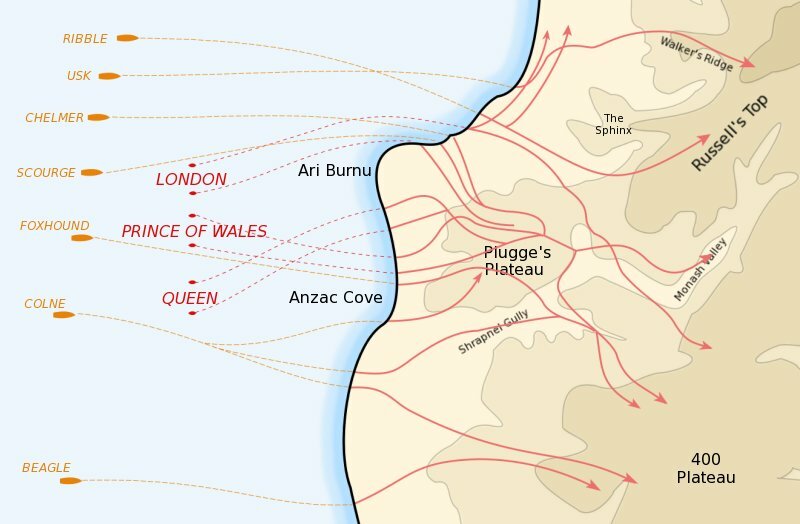 Compared to other First World War battles, the Gallipoli campaign did not cause particularly heavy losses for the allies. It was short because they were after a quick win and when this did not happen the troops were needed elsewhere. 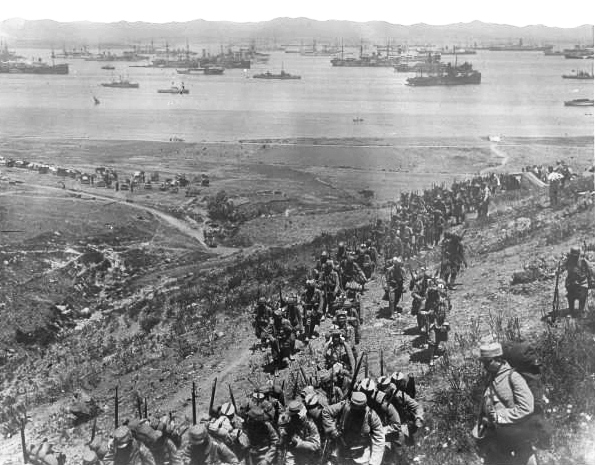 Around one million men fought in the Gallipoli campaign at a cost of 44,070 allied soldiers and 86,000 Turks. By comparison, British casualties during the first day of the Battle of the Somme in France were around 60,000. But, Gallipoli was not a side show. It should never be forgotten. For every one of those men that died, whether Turkish, British, Australian, French, Indian, German or New Zealand – they all had families. There is no glory in this. Try and share that glory with the mothers and fathers of the lost souls. Tragic. Unnecessary. By the time the Second World War came round a wise Turkish President – Ismet İnönü, managed to keep Turkey out of the war. What is often overlooked is the fact that Turkey did actually declare war on Germany in February 1945 although it did not take part in any fighting. This did ensure that Turkey would be at the peace conference in San Franciso and at the birth of the United Nations that followed.